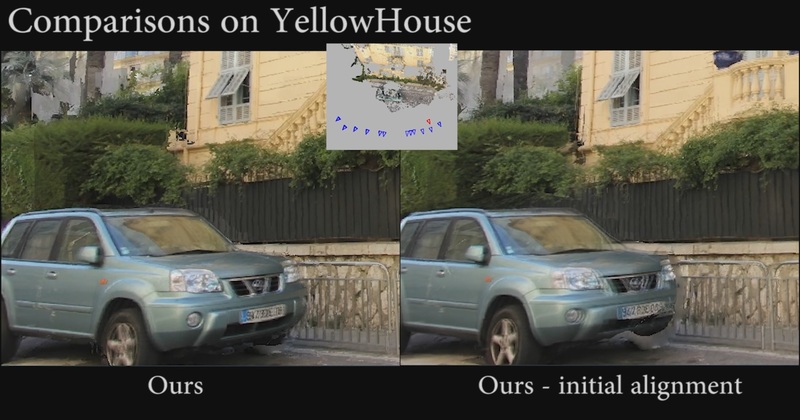 Image-Based Rendering (IBR) allows good-quality free-viewpoint navigation in urban scenes, but suffers from artifacts on poorly reconstructed objects, e.g., reflective surfaces such as cars. To alleviate this problem, we propose a method that automatically identifies stock 3D models, aligns them in the 3D scene and performs morphing to better capture image contours. 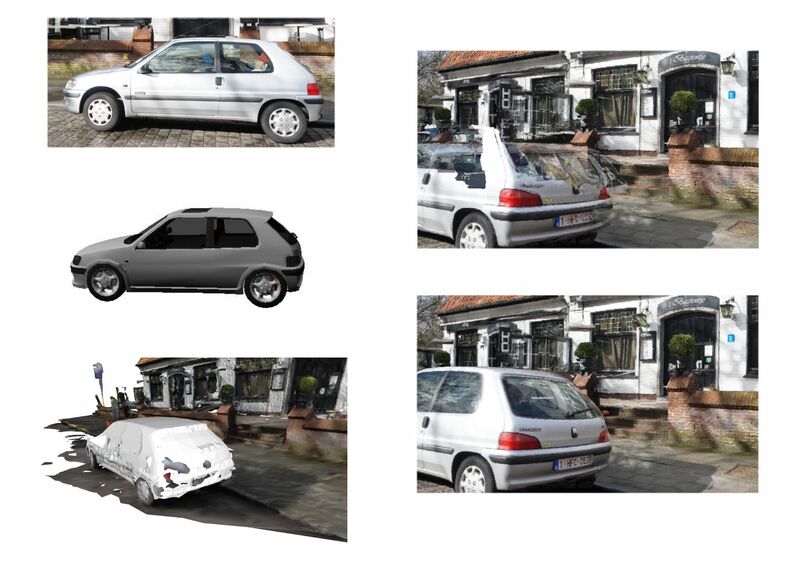 We do this by first adapting learning-based methods to detect and identify an object class/pose in images. We then propose a method which exploits all available information, namely partial and inaccurate 3D reconstruction, multi-view calibration, image contours and the 3D model to achieve accurate object alignment suitable for subsequent morphing. These steps provide models which are well-aligned in 3D and to contours in all the images of the multi-view dataset, allowing us to use the resulting model in our mixed IBR algorithm. Our results show significant improvement in image quality for free-viewpoint IBR, especially when moving far from the captured viewpoints. The authors are grateful for the support of EU project CR-PLAY (no 611089) www.cr-play.eu , donations from Adobe, and project SEMAPOLIS (ANR-13-CORD-0003). Thanks to Sebastien Bonopera for coding support and Bruno Levy for help with geometry processing.